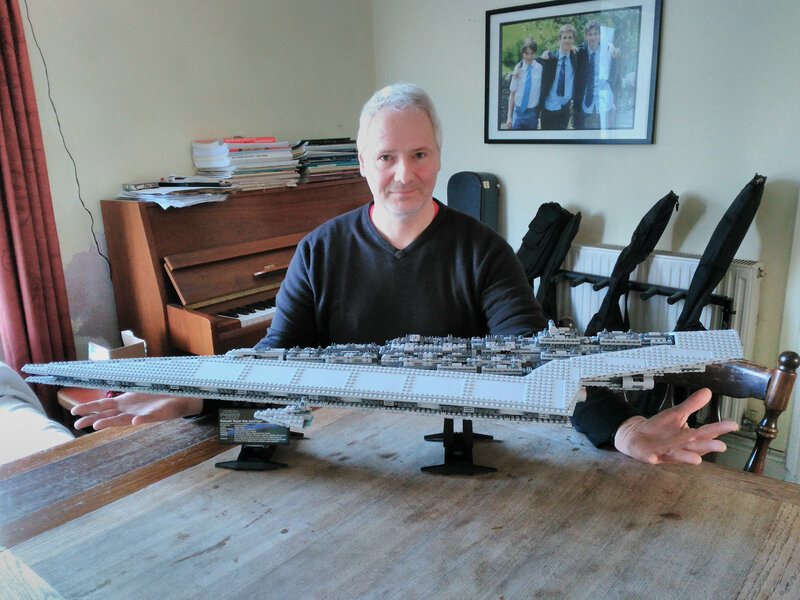 Back in March, I and my eldest son Dan both got Lepin STAR PLAN kits — from the same Lego-alike manufacturer that made my STAR WNRS Super Star Destroyer. 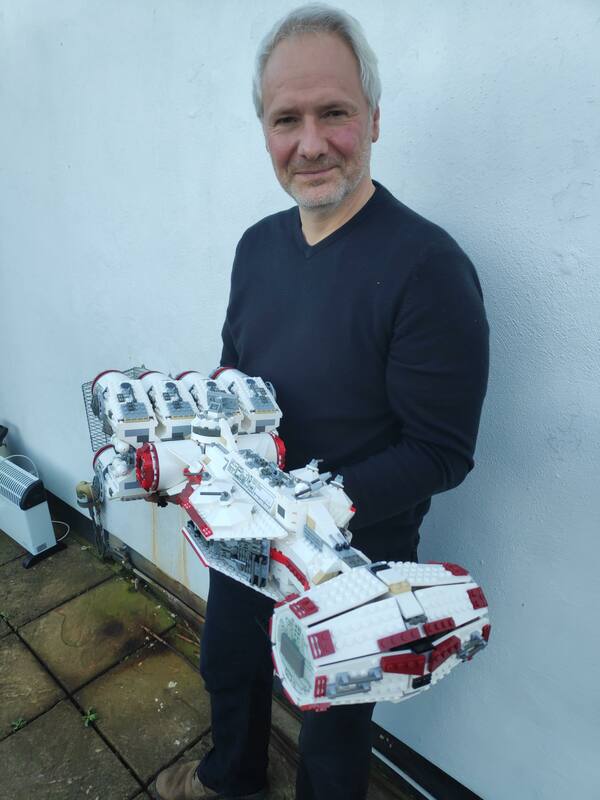 I got a Tantive IV blockade runner, a kit I’d wanted for years but which Lego long ago stopped making. 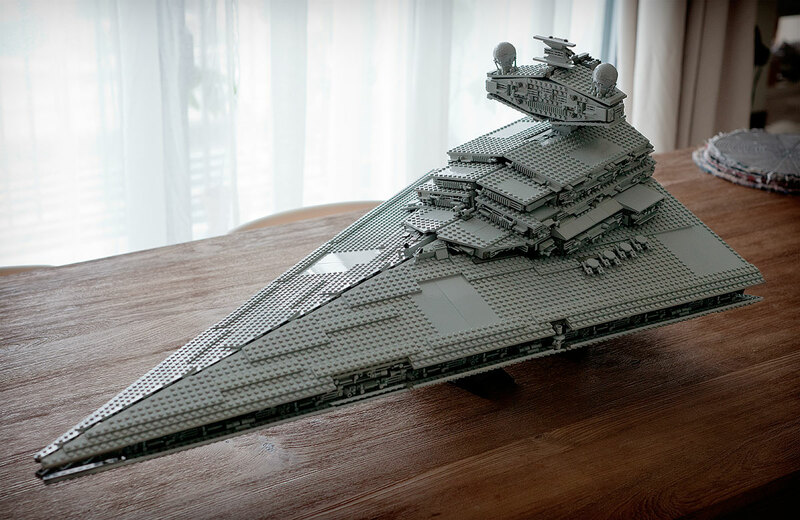 This looks like a Lego 10221 Super Star Destroyer, from the Ultimate Collector’s Series (UCS) Star Wars range. 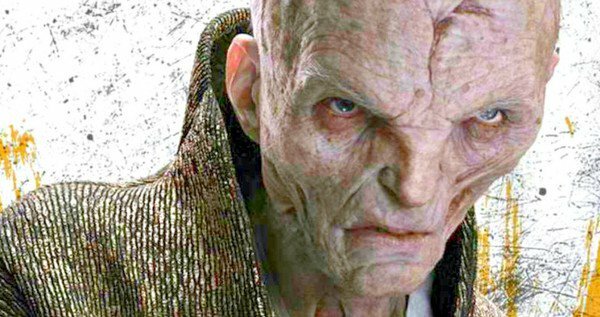 In deference to those who found it puzzling that The Last Jedi didn’t give us more on The Force Awakens‘ Big Bad, I concede that we’re entitled to wonder whether Snoke was a Sith, and if so, how he fits into the always-two-there-are model. One might profitably muse on whether Sith-ness is in fact constrained to the always-two-there-are model, or whether that was just a story Plagueis/Palpatine, Palpatine/Dooku, then Palpatine/Vader told to make themselves feel special. What I don’t concede is that the film has to explore that. I rather think we’ll have more fun speculating on such things ourselves that we would get from being told the what The Answer is. Because whatever The Answer turns out to be, the only possible response will be “oh”. 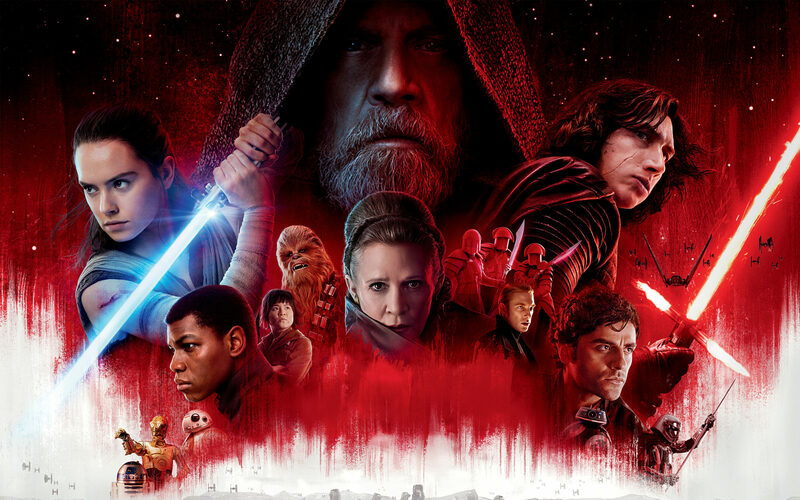 With the whole family, I saw The Last Jedi at the one-minute-after-midnight showing on the day of release, at the wonderful Cinderford Palace Cinema (£2.50 on weekdays, £3.50 at weekends, snacks £1). I loved it and I’m keen to see it again. Almost everything I want to say about it, Matt Wedel has already said in his review over on Echo Station 5-7. But there is one important thing that I’ve not seen mentioned anywhere yet: not in Matt’s review, or Matt Zoller Seitz’s review on the Roger Ebert site, nor in Mark Kermode’s in The Guardian. 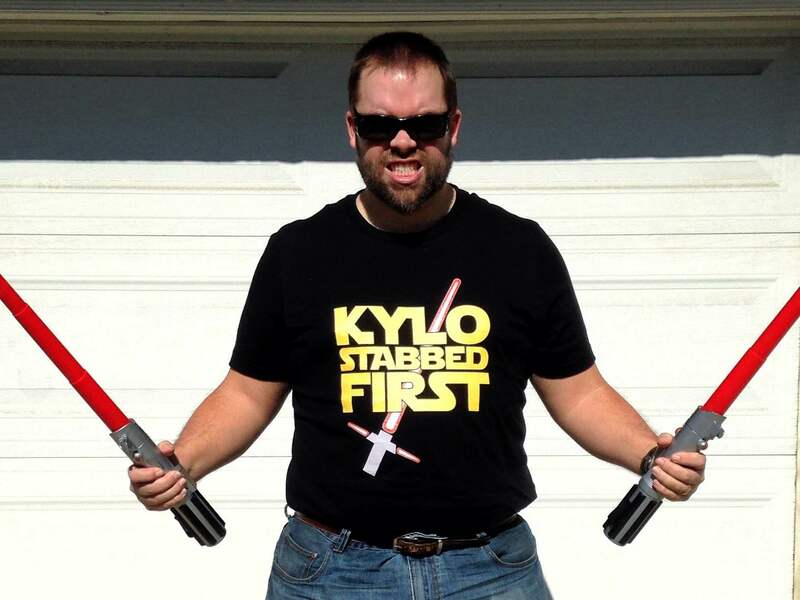 Get your “Kylo Stabbed First” T-shirts! Above we see my good buddy Matt Wedel modelling the shirt as only he can. Want one of your own? Course you do! Buy the Kylo Stabbed First shirt here! As my buddy Matt noted, The Force Awakens nails the, “They were in the wrong place at the wrong time. Naturally, they became heroes” quality of the original Star Wars — something that the prequels completely missed.